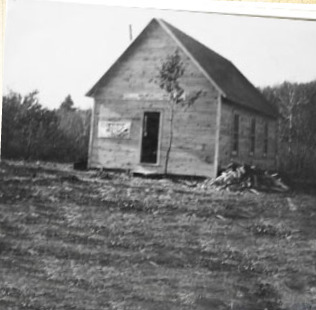 In December of 1912 a handful of worshipers believing in the message of Holiness began meeting in a small one-room schoolhouse in rural Southern Dunn County near the banks of the Chippewa River. A year later, on December 9, 1913, the doors of the schoolhouse were locked to the believers. A traveling evangelist, Rev. Earl Curtis, having spent many hours in prayer, shared with the people that God had showed him a church for them. At the news of this, two brothers, Lamont and Bert Larrabee, hitched their teams for a long ride into Menomonie to purchase lumber and building supplies. This was a leap of faith, for the people did not even know where this church would be located. However, while on his knees in earnest prayer, God revealed to Rev. Curtis the corner in which His new house would be built. Rev. Curtis went to the landowner and explained what God had told him. The landowner, a Mr. E.O. Cummings, graciously donated the land. On that Tuesday the people went straight away clearing the land for their new building. Rev. Curtis’ wife had the honor of cutting the first tree. 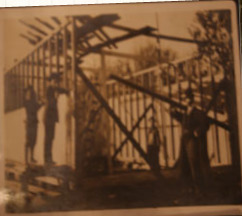 It was after dark when the Larrabee brothers returned with the building supplies, and as they made a return trip to Menomonie the next morning, the people began to build the structure. By Saturday evening of that week a small one room church with a door, one window, and plank seats was ready for a service. The next morning, December 14, 1913, the building was dedicated. Also that morning the Rev. F.E. Miller, under the direction of District Superintendent F.J. Thomas, organized this band of eleven faithful souls into Wisconsin’s first Church of the Nazarene, the Forest Center Church of the Nazarene. The old church has undergone many changes throughout the years. Each generation has contributed to the church’s growth and stability. It was moved over the hill from its original location. Additions were added; remodeling has been done periodically, and the schoolhouse where they were once banned from worshiping was purchased and built into a large parsonage home. One thing, however, that has never changed is the message of salvation and God’s free gift of eternal life through Jesus Christ. It is our goal to be ambassadors of Christ and to show His love to all people. To see some more pictures of our church history and church building over the years, click on the link to the photo album below.